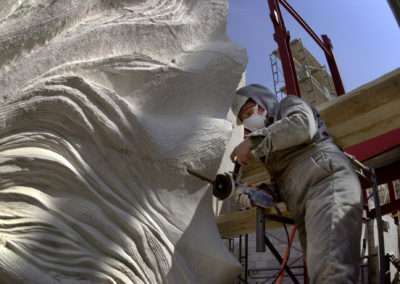 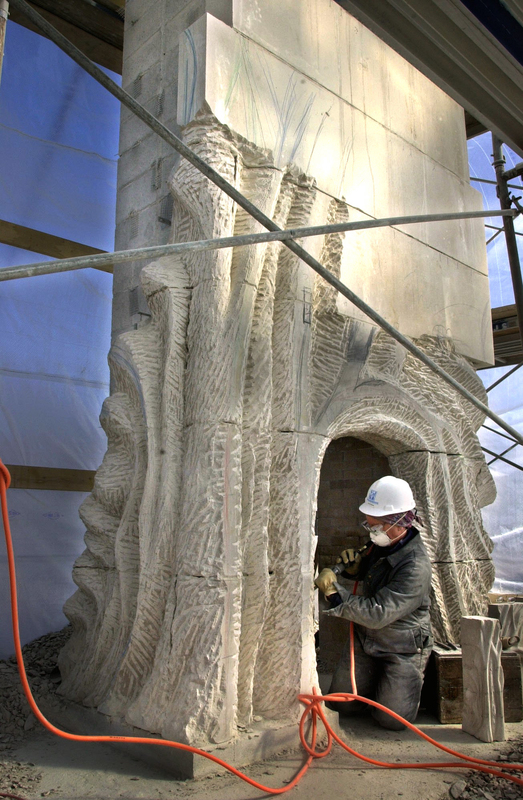 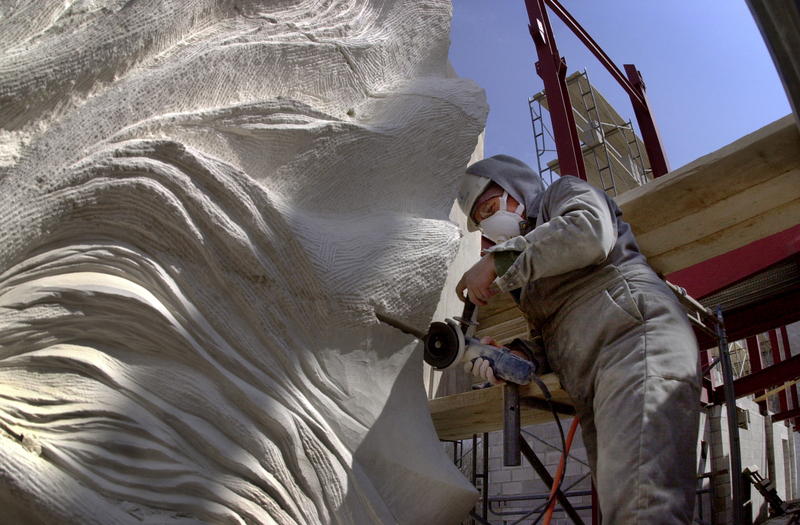 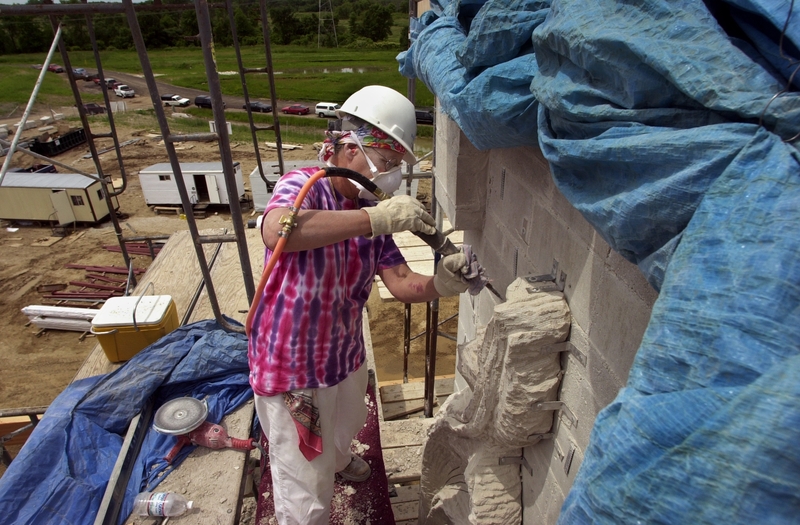 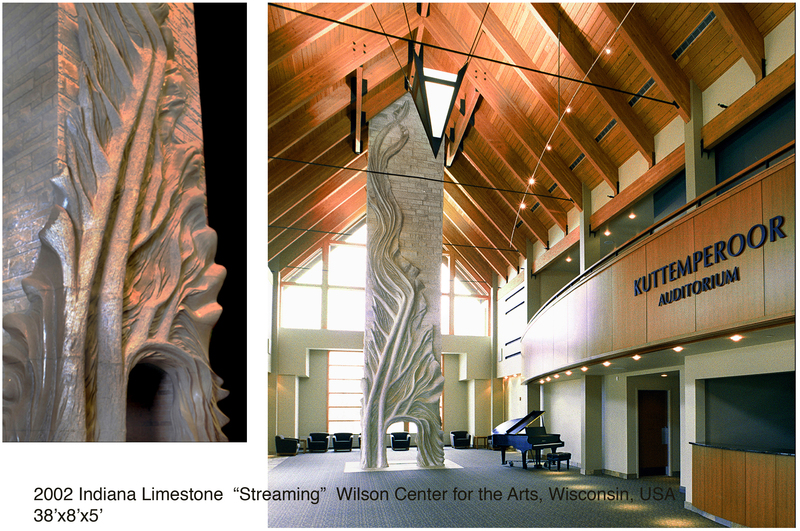 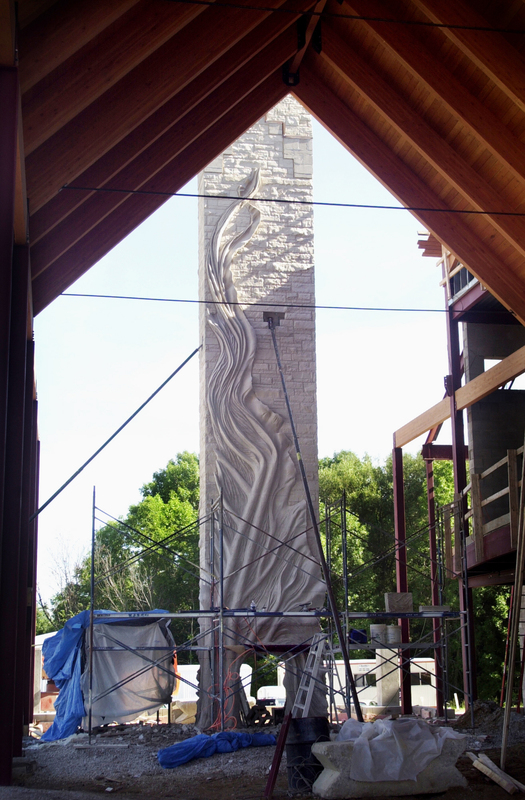 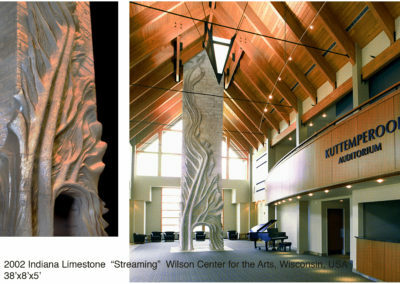 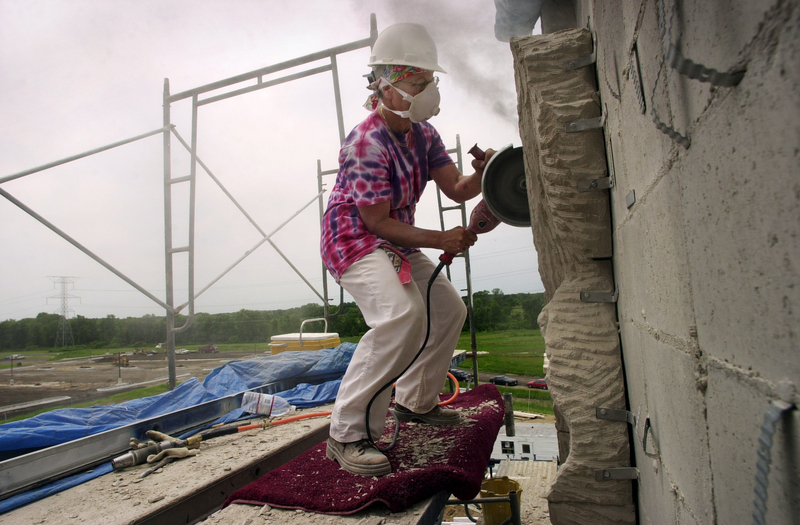 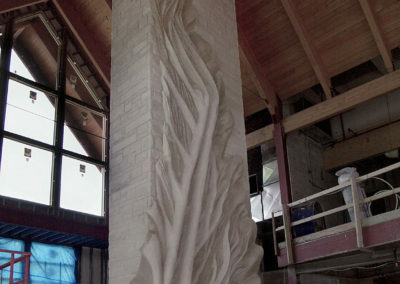 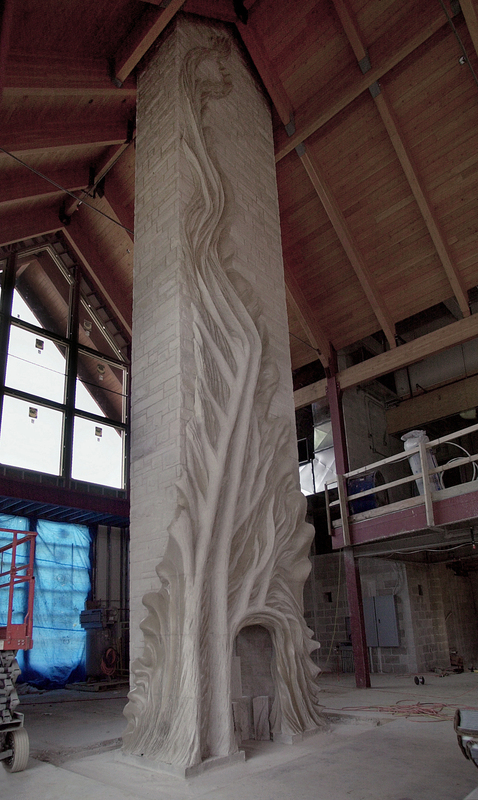 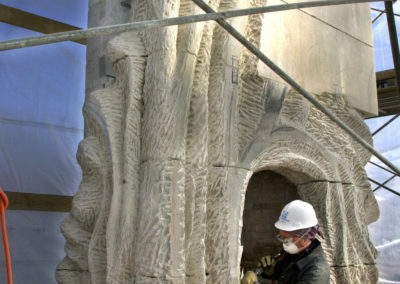 The following series of images shows steps in the process of carving the sculpture “Streaming” as the building was built around me. 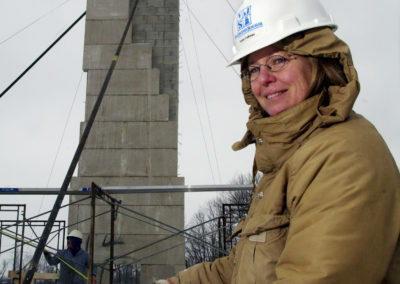 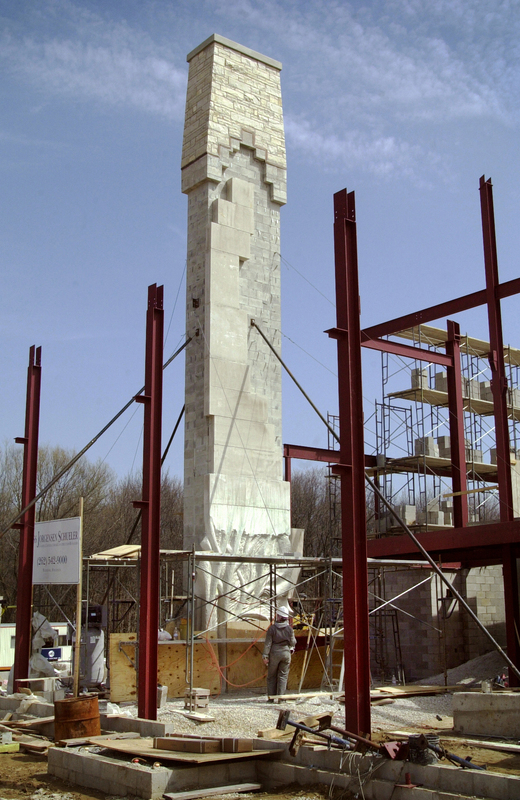 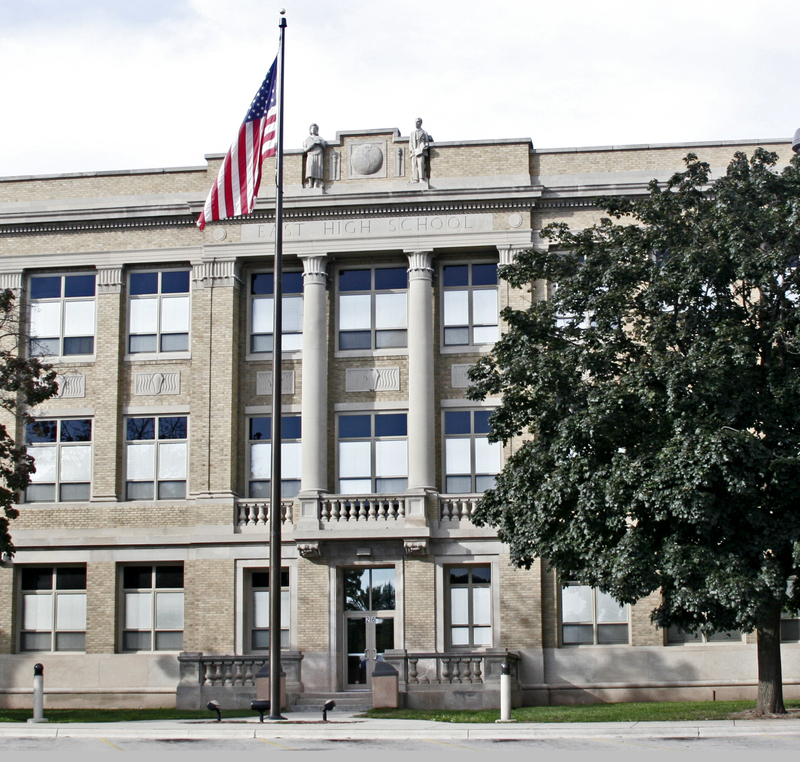 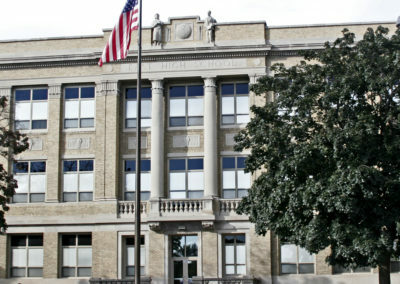 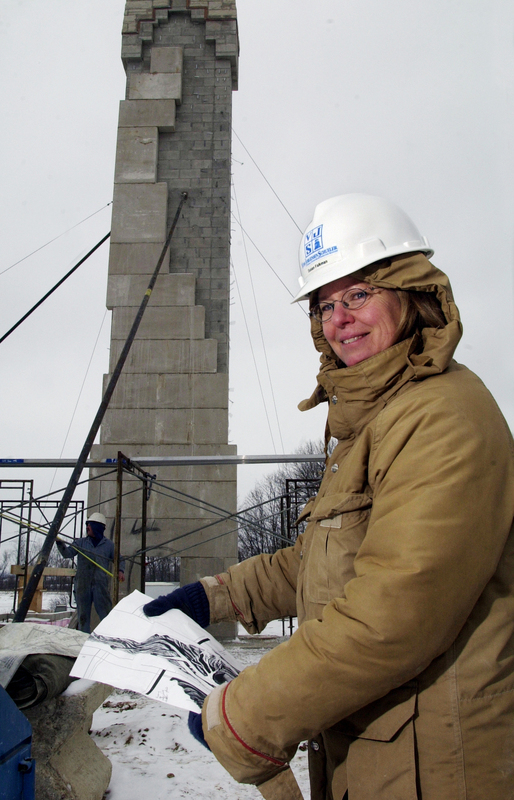 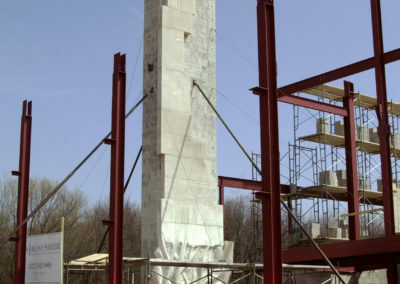 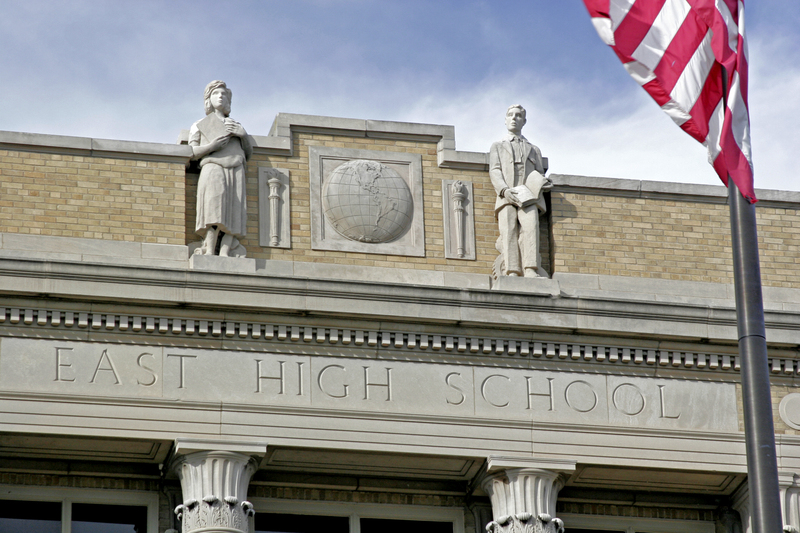 Beginning in February the tower of masonry and stone was the only thing on the site. 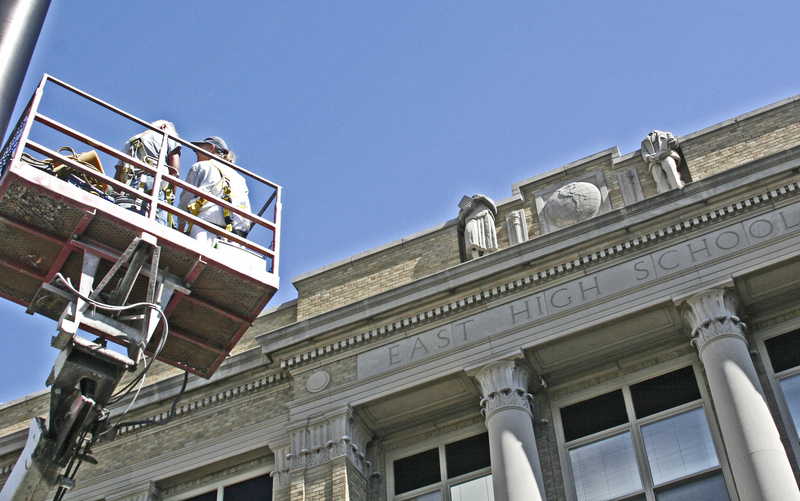 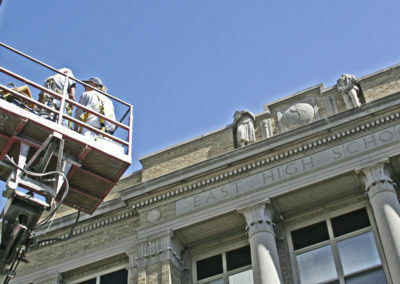 For months, I was up and down the scaffolding, up to 35 feet, by the arrival of summer’s heat. 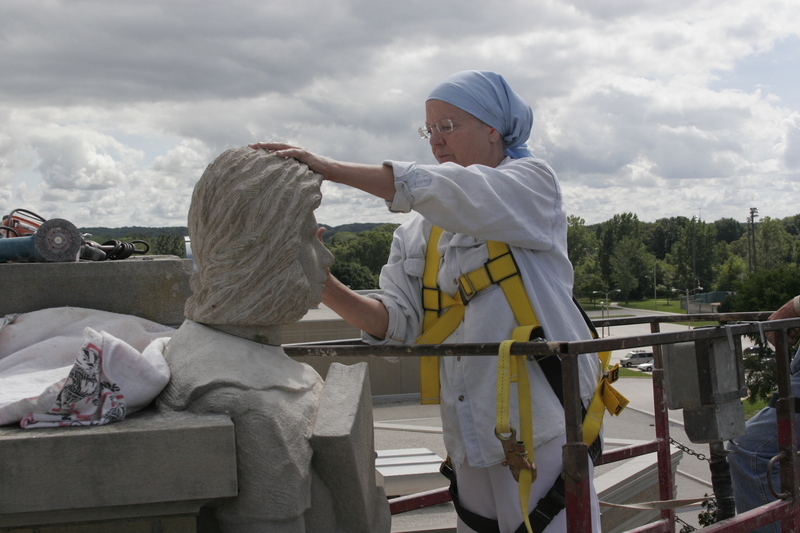 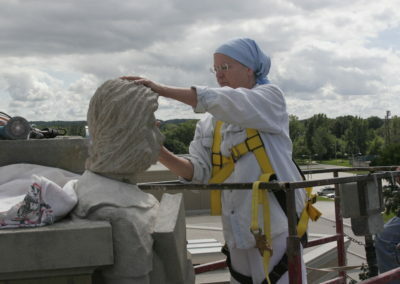 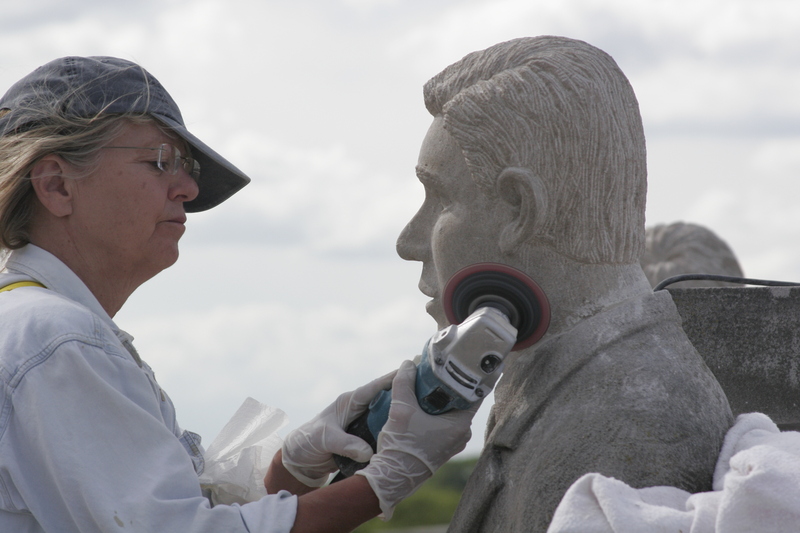 Again up in the air, installing heads carved in my studio to match those for two figures carved a century earlier. 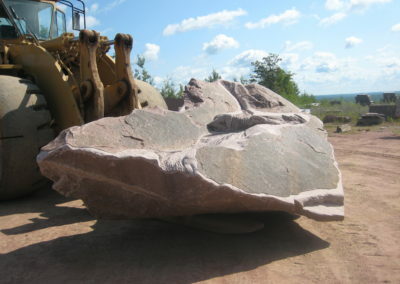 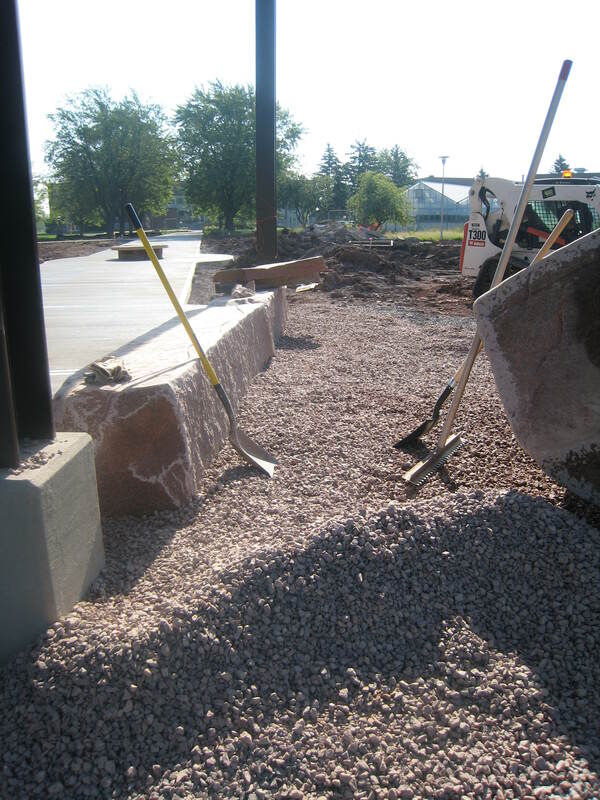 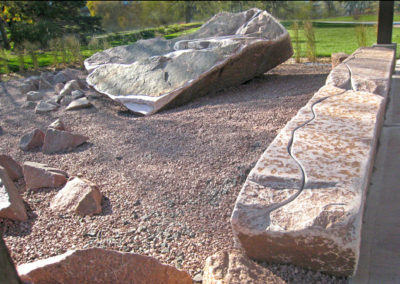 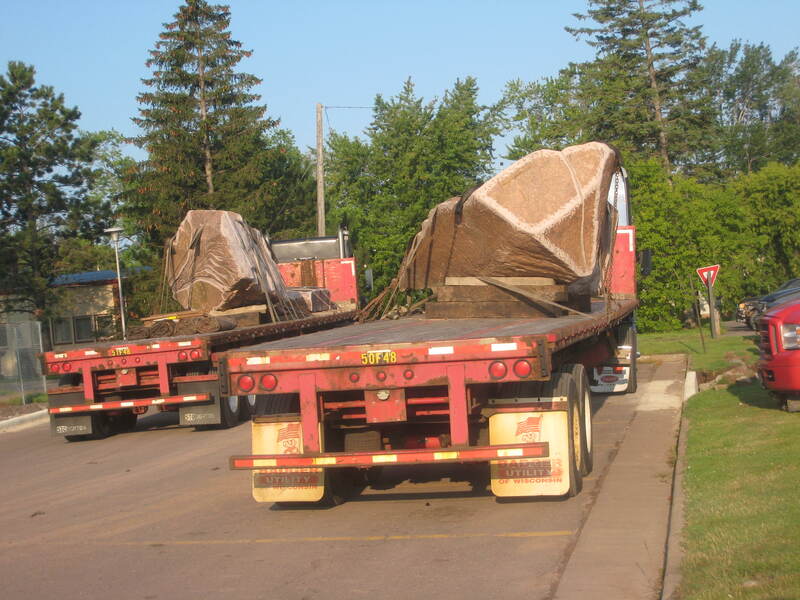 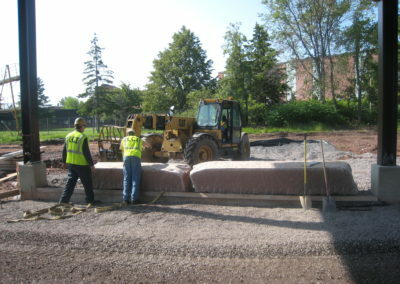 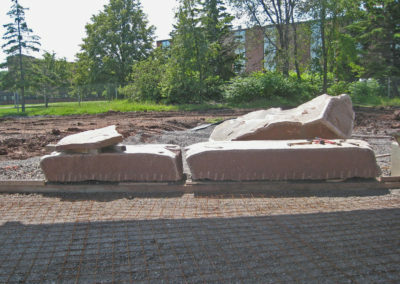 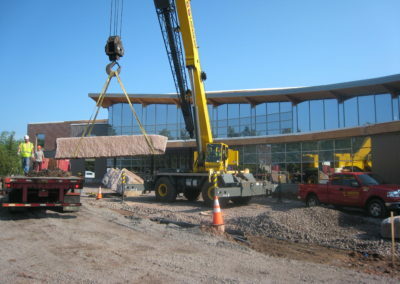 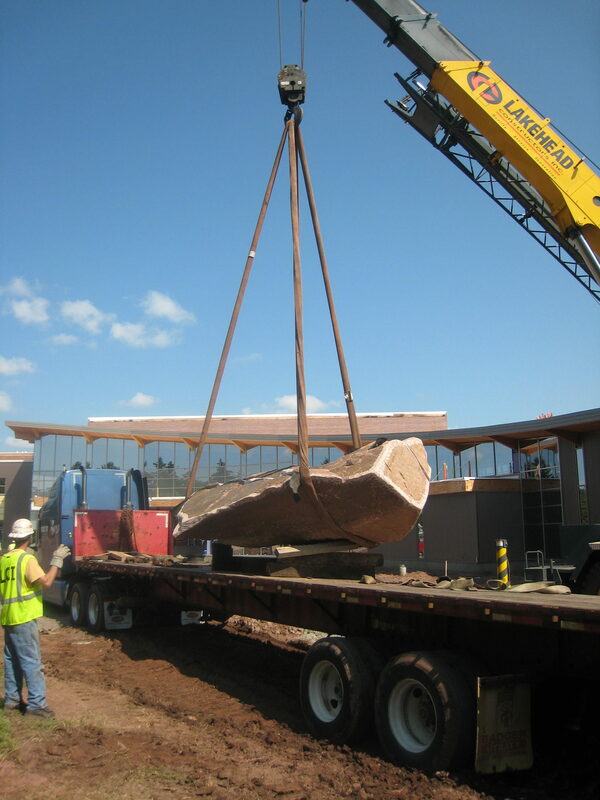 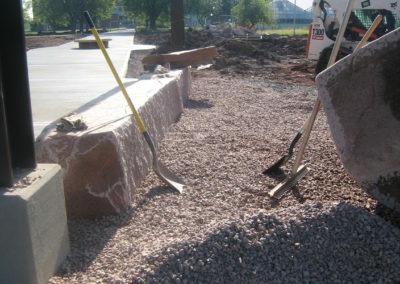 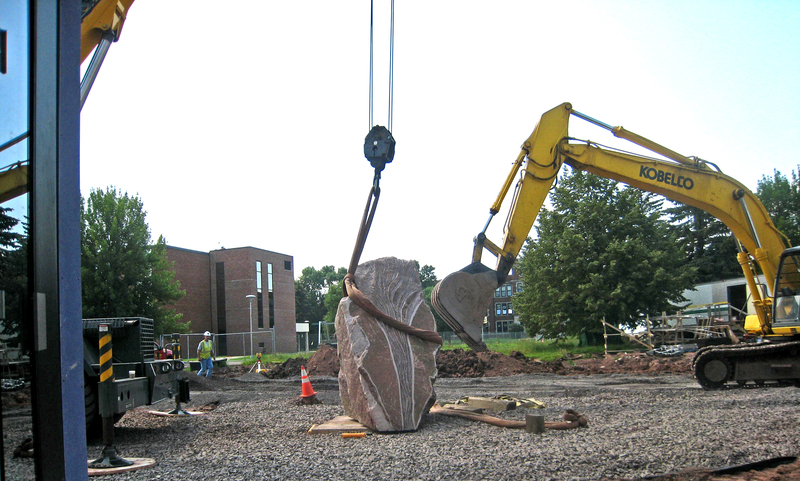 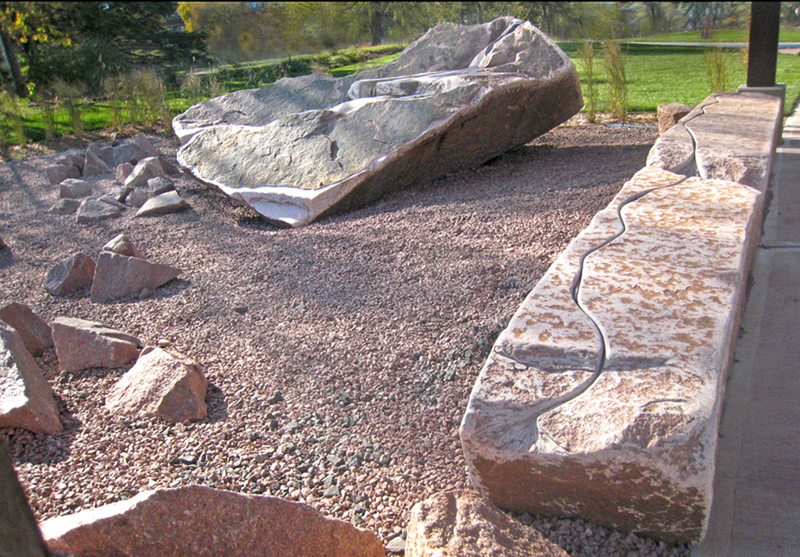 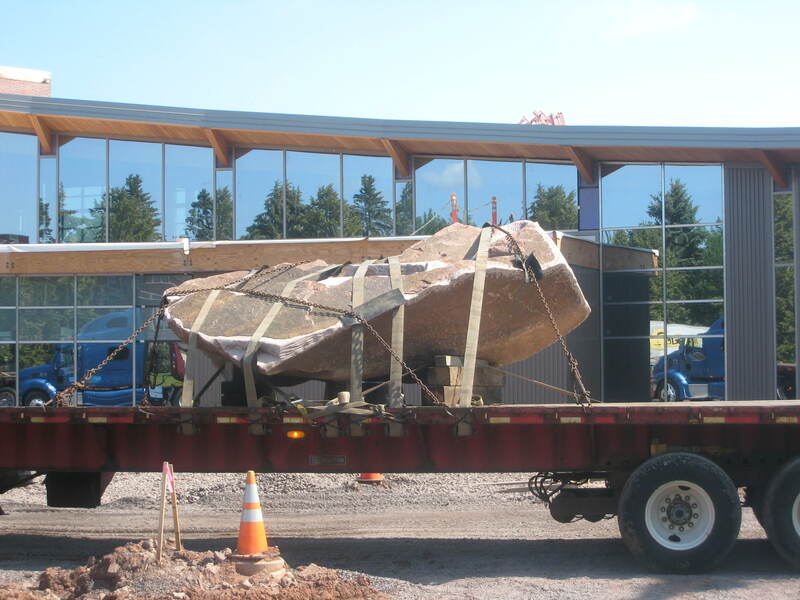 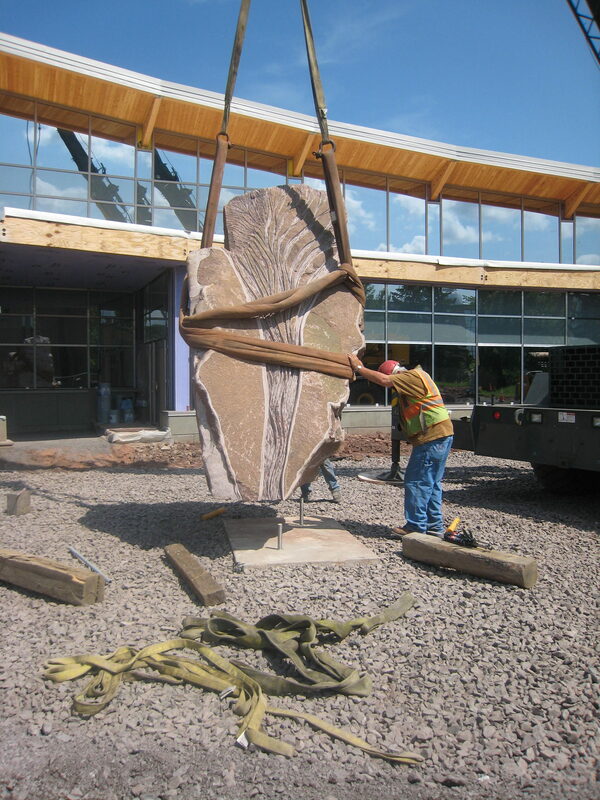 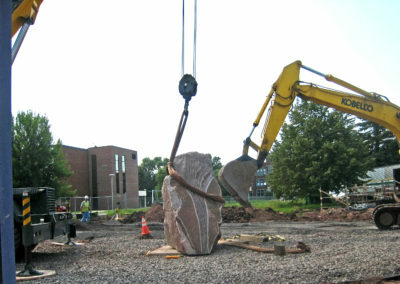 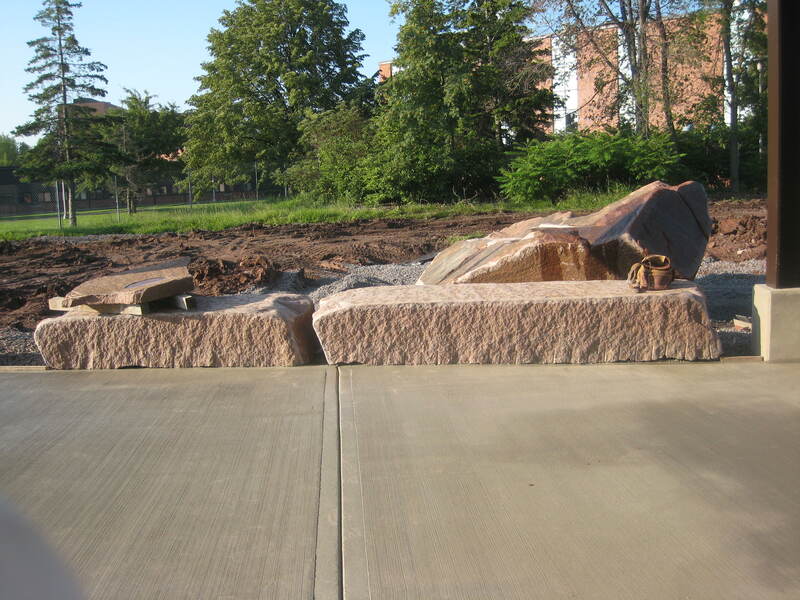 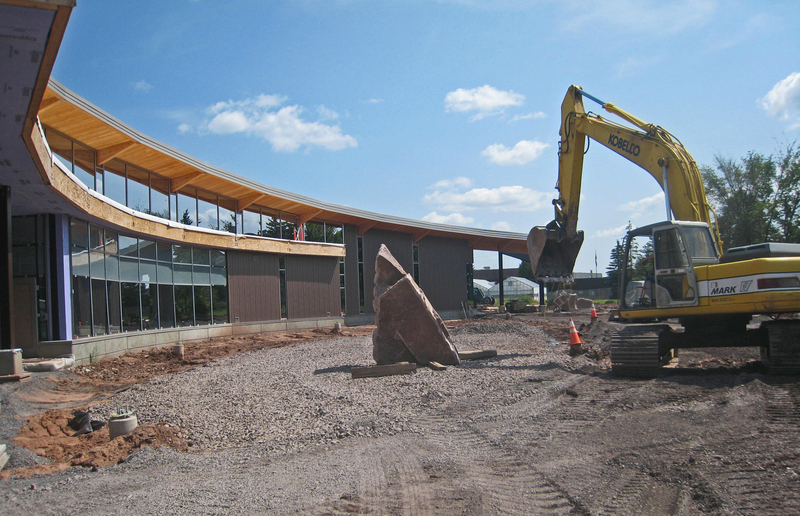 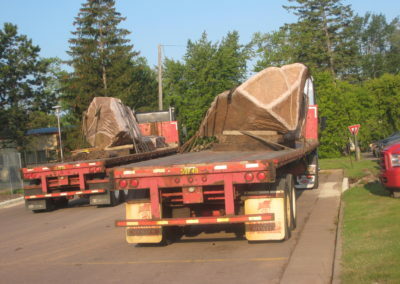 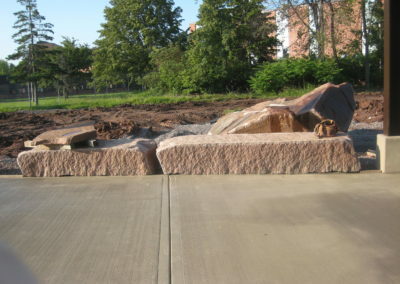 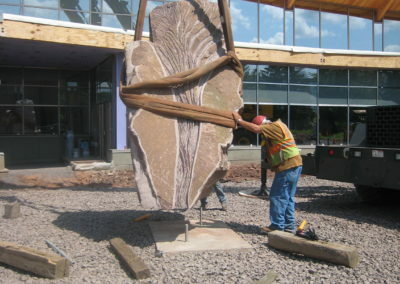 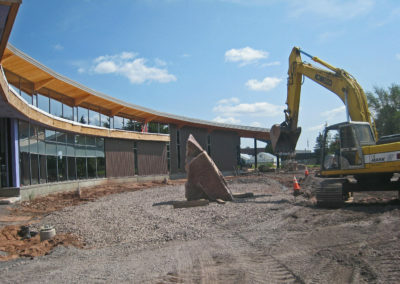 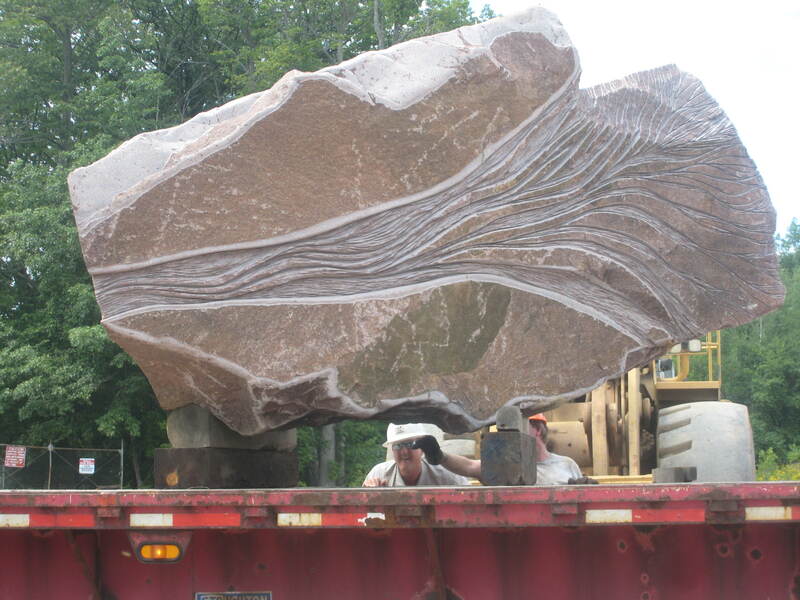 Moving and installing the two 20 ton stones for a project in Superior, WI. 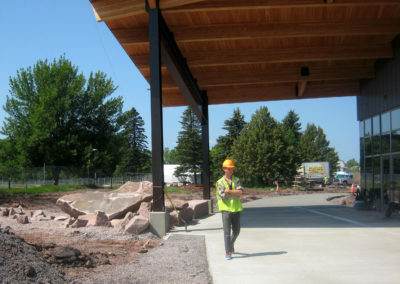 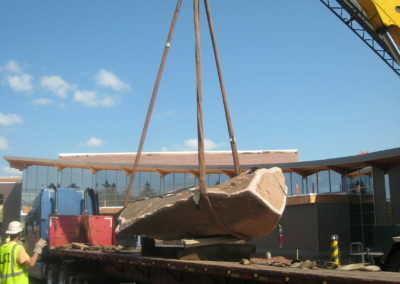 was as big and interesting an undertaking as carving the stones themselves, from backing the flatbed trailer down a muddy rutted track to the waiting crane, to the placing of the benches moments before the paving crew moved through. 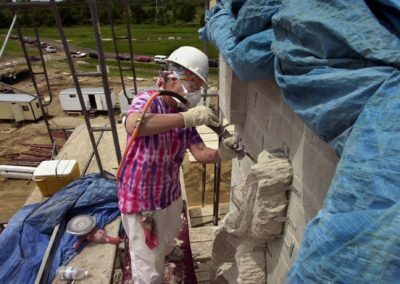 Timing was everything on a very busy construction site. 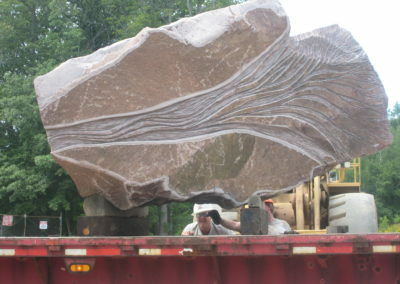 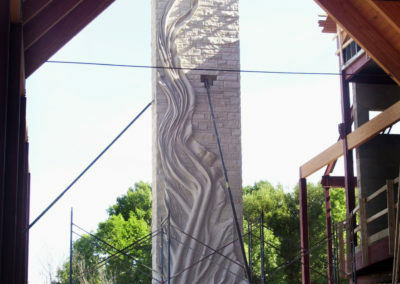 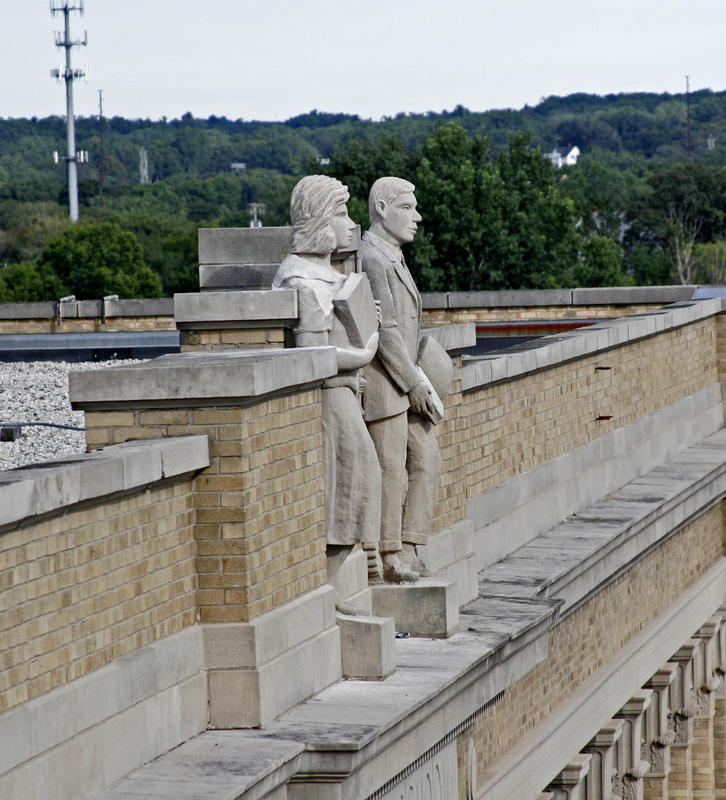 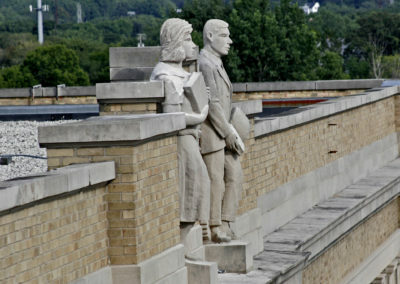 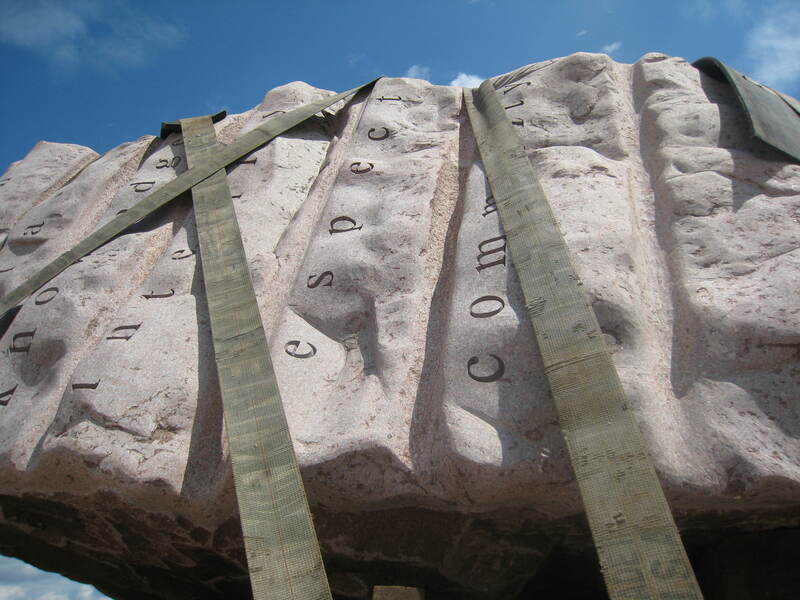 The finished sculpture can be seen under Public Sculpture, Granite.